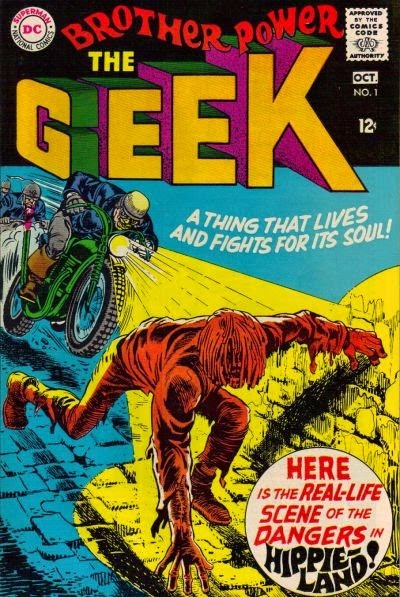 Created in 1968 for DC Comics by Joe Simon, Brother Power the Geek lasted only two short issues before its abrupt cancellation. An abandoned mannequin from a tailor's shop was rescued by two hippies who dressed the doll in some of their "hip threads" and was then forgotten for months. But once the doll was stuck by lightning, Brother Power was brought to life and was endowed with super powers. Aiming for the college crowd, this wandering "monster philosopher" was kidnapped by the "Psychedelic Circus" before getting a new face and deciding to run for the United States Congress. He also had misadventures with biker Mad Dawg and his gang as they tampered with a rocket that inadvertently shot the Geek into space by then Governor Ronald Regan. Fighting the establishment with his hippie friends, Brother Power had a small fan following. 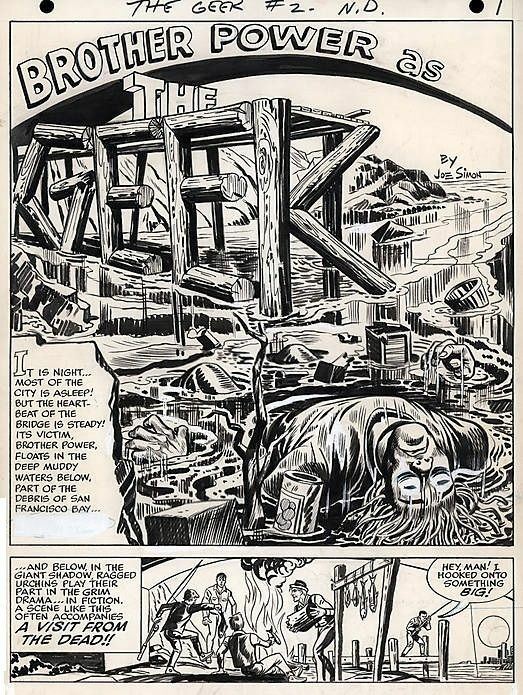 Mort Weisinger however disliked the character and hippies in general pushed very hard for DC publisher Jack Liebowitz to cancel the title. 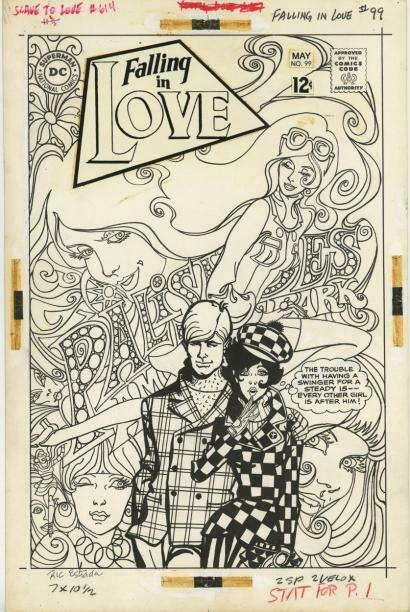 Even with no use of drugs or alcohol in the stories, Weisinger thought the book was too soft on the hippie subculture. 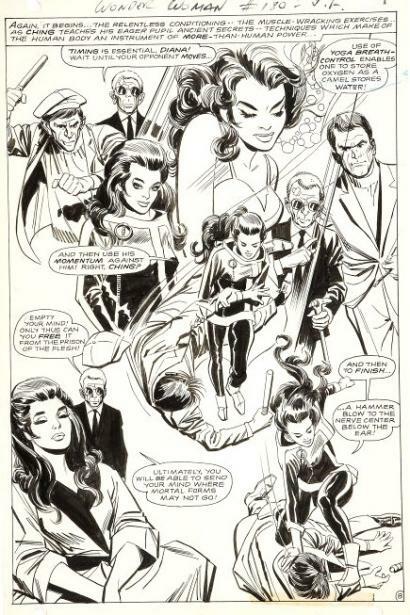 The book was cancelled as Simon plotted the third issue, which were "ghosted" by fellow artist Al Bare in his wild fun style. 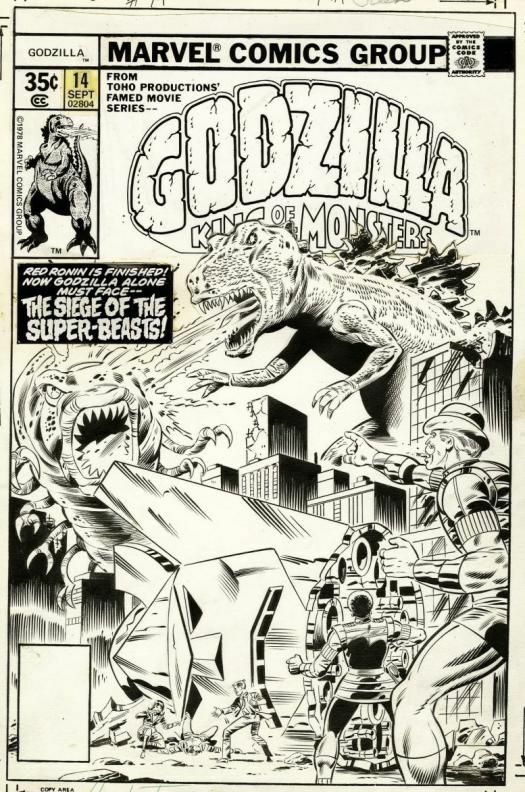 With just a brief two year run from 1977 to 1979, Marvel Comics, Godzilla, King of the Monsters, was written by Doug Moench and drawn by versatile artist, Herb Trimpe. 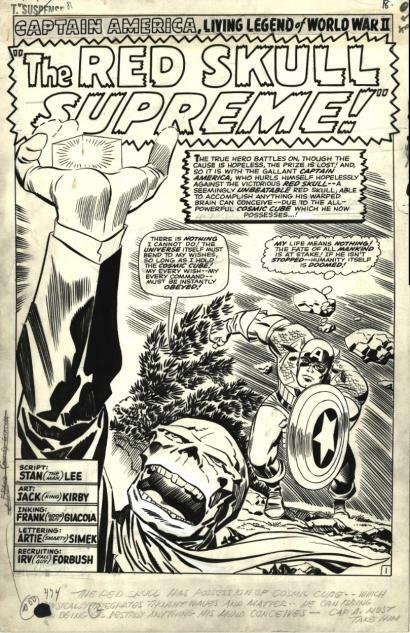 During his twenty four issues, this classic monster from Japan is discovered frozen in an Alaskan Iceberg, revived, and runs wild over the United States finally ending up in New York City. In the series our prehistoric creature acts more animal like that his many movie appearances as he clashes with other evil dinosaur beasts. Godzilla is not featured as a protector of mankind as in most of the films, with an almost sentient demeanor, but a pure destructive force. 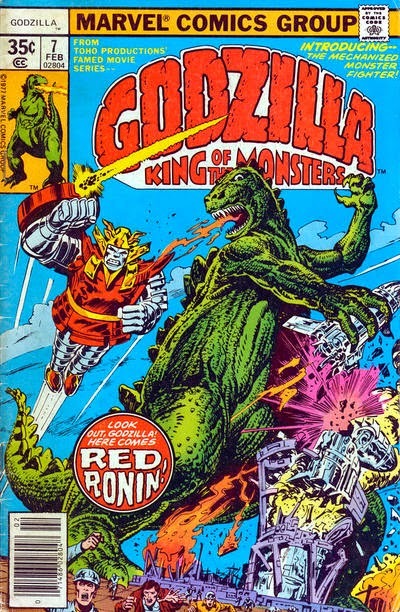 Over the course of the series, Godzilla is placed firmly in the Marvel Universe fighting S.H.I.E.L.D. agents, the Fantastic Four, the Champions, Devil Dinosaur and Moon Boy, the Avengers, and finally your friendly neighborhood Spider-Man. But one of the fans favorite villains was the alien Mega Monster created especially for the series, Red Ronin. 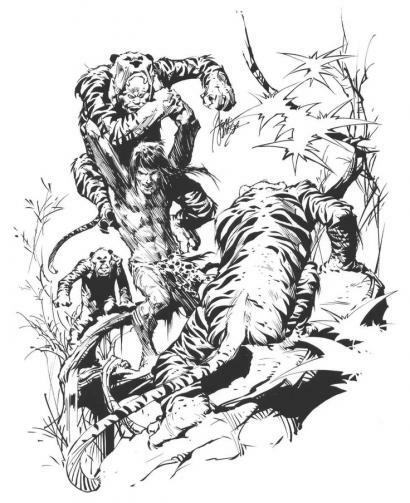 Yetrigar, a King-Kong like primate also was one of the giant monsters Godzilla had to contend with over time.But as the title was winding down and Marvel losing the rights from Toho Studios, the "King of the Monsters" still appeared for years under different names in Marvel books because its hard to keep a good monster down. 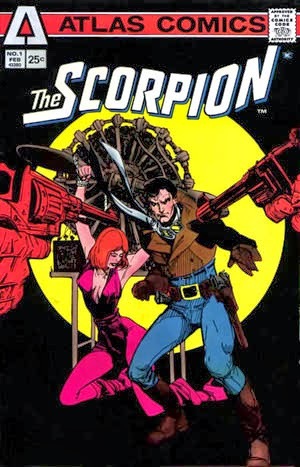 Perhaps the best title from the Atlas/Seaboard stable, The Scorpion, started out with a dynamite story written and illustrated by Howard Chaykin. 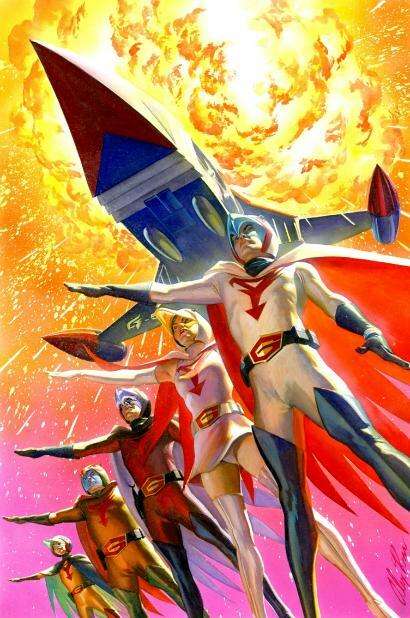 It starred a swashbuckling mercenary called Moro Frost who was immortal, his adventures were initially set in the 1930s with some high-flying aviation and espionage in this great start for the character. 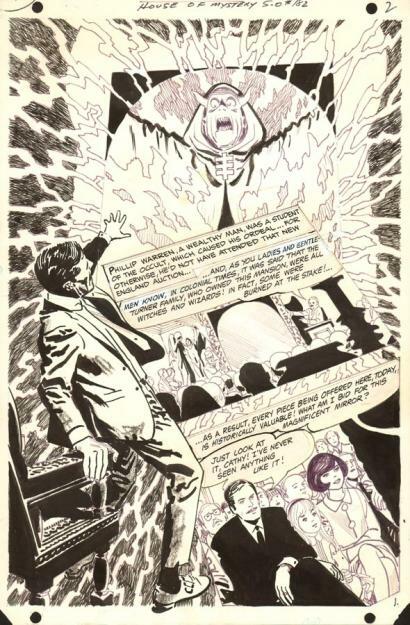 His second story in issue #2 focused more on pulpy supernatural elements with some excellent art work by contributors Berni Wrightson, Michael Kaluta, Ed Davis, and Walt Simonson! 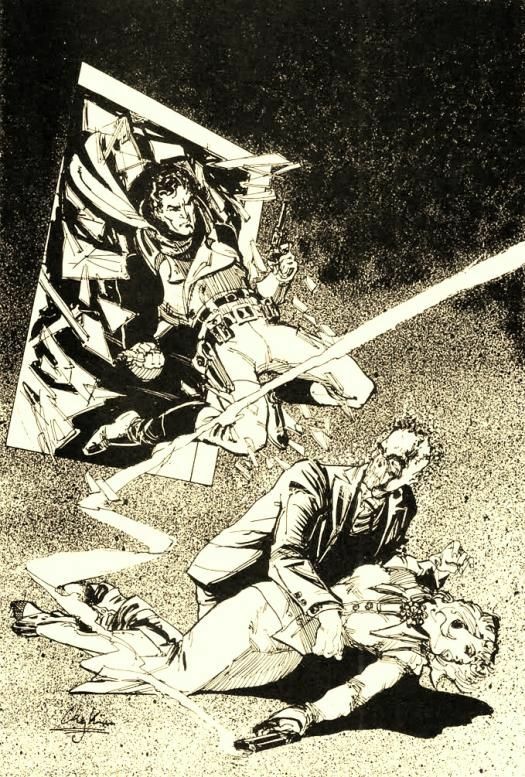 Unfortunately by the third and final outing, Chaykin had left the title as Jim Graig and Jim Mooney took over the artistic chores. Now the Scorpion was updated to a modern day super-hero crime fighter similar to a watered down Spider-Man. 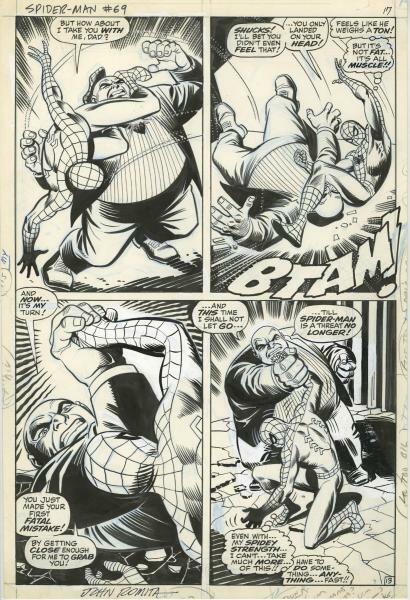 David Frost was a crusading newspaper publisher by day and crime fighter by night, taking on the Golden Fuhrer in this campy end to one of the company's best chances at a lasting hero prospect. 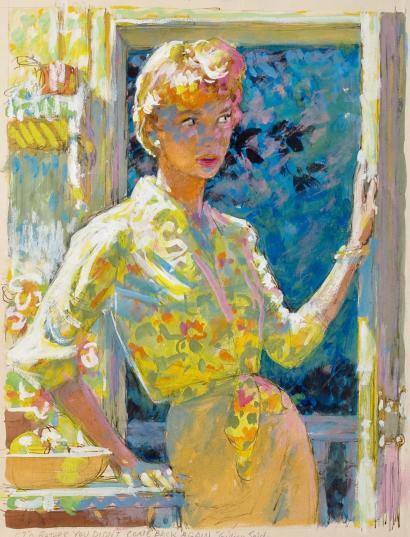 Born in Gainesville, Georgia March 29, 1924. 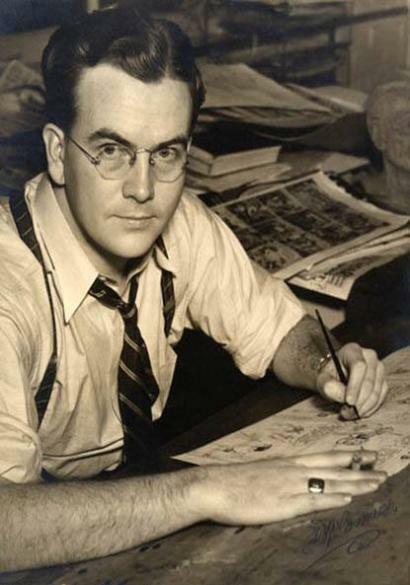 For the past forty four years, have been associated with the Mark Trail comic feature .For the past eighteen years, have both written and illustrated the daily and Sunday strips. 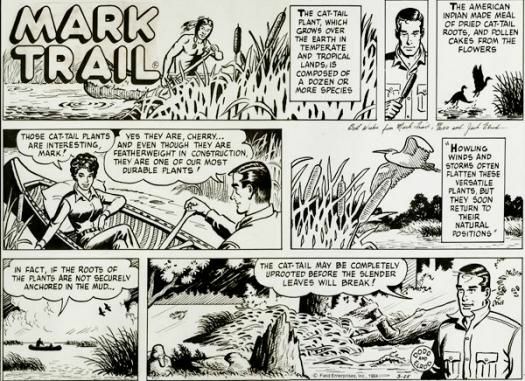 Mark Trail has won over twenty five conservation awards. In 1987 it won state "Take Pride in America" award and in 1988 won a national "Take Pride in America" award which was presented at the White House. In 1989 it received a conservation award from the Department of Agriculture and the Department of Interior. 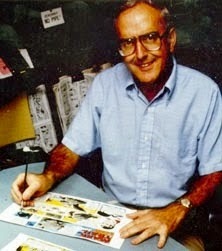 In 1991 and 1992 I was a judge in the federal duck stamp contest. In 1991 Congress set aside 16,500 acres in the Chattahoochee National Forest as a Mark Trail wilderness area. In 1994, I received a proclamation signed by the Governor of Georgia, the Golden Bear award, from the Department of Agriculture, and the Conservation Communicator of the Year award from the Georgia Wildlife Federation. I feel very fortunate to be doing the type of work I enjoy.